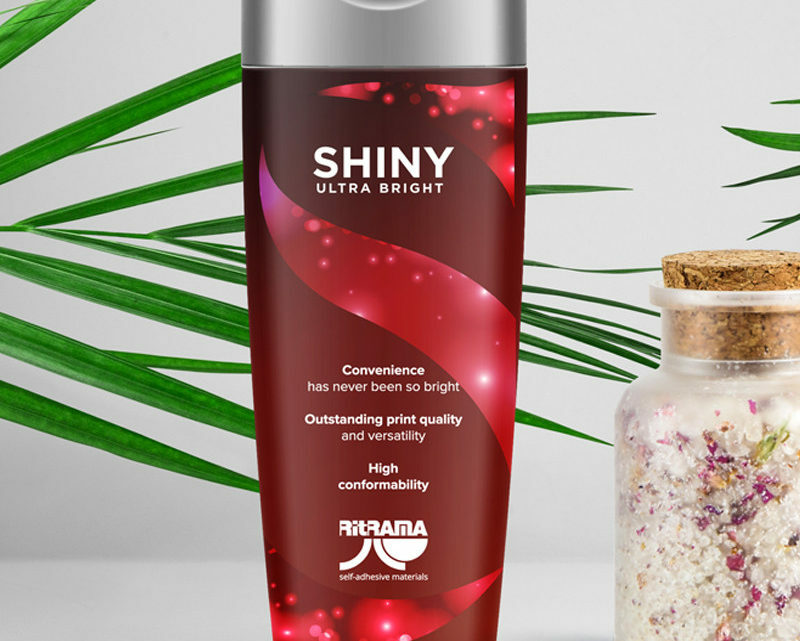 Shiny by Ritrama represents today a very valid, versatile and cost-effective alternative to the traditional and expensive metallized polyethylene films offered so far by the market. A real revolution in the field of labels for cosmetics and beauty products, characterized mainly by a high end products demands, necessary to obtain extremely rich and decorative labels, vibrant colors and excellent technical performance. Tested to obtain excellent results with the most common printing techniques (UV typography, UV screen printing, UV flexo, gravure, hot and cold stamping) and types of inks, Shiny by Ritrama guarantees the same results, in terms of brilliance and gloss, compared to conventional metallised polyethylene films.